Starting a Small Business Blog | Why Small Business Should Blog? 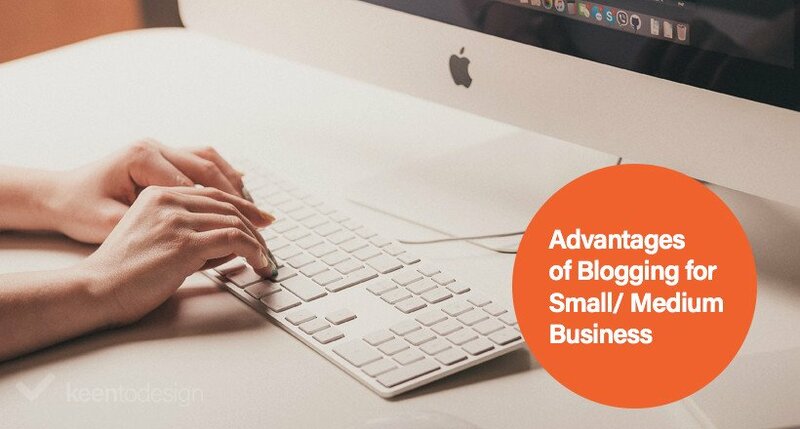 Why Small & Medium Business in Sydney should Blog? Blog. To some that means an online journal; to others, it is an informational website on either a particular topic or different subjects. Officially defining, a blog is a website where an individual provides entries of any content from videos or podcasts to traditional text and photos to inform or create discussions. Typically blogs are presented in reverse chronological order. Today, the relevance and importance of blogging are becoming more apparent than ever. Content marketing, marketing that involves creating and sharing media and publishing content to acquire customers, is becoming a common trend in business. Marketers realize that to connect with their clients and obtain leads it is important to provide them with the relevant and educational information they will find valuable. This new approach to marketing is what makes blogging crucial today. Along with social media, a content marketing component, blogging is about informing people; keeping people up to date with industry news, trends, company information and more. With a blog, marketers can communicate a company’s persona; who they are, their focus, and what makes them different from the competition. By engaging clients and prospects with content as opposed to promotions and marketing text, valuable relationships can form.Blogging is no longer a platform in which teens share their feelings to the world; blogging is for business, and it makes a difference. As mentioned before, content marketing is becoming a common trend in business and blogs support it. Blogging is all about content. Unlike social media platforms that either require or is accustomed to, short posts, blogging allows for more information and more sharing. An informative and compelling blog is one where the writer(s) are passionate and wholeheartedly interested in the topics at hand. Blog posts should be informative, relevant to the target audience. Companies want to be considered experts in their industries and fields. They want their customers and prospects to view them as credible and trustworthy. Writing blogs on your expertise, sharing industry knowledge and opinions, and getting your company’s point of view out there can help create an image of your business and brand as an industry thought leader. Becoming a thought leader makes your business the point of reference for clients and prospects to find out what’s what in the industry and also helps your company build a respectable brand and reputation. What company would not want that? Today, getting found online is crucial. Many Business firms are turning to search engine optimisation to do just that. Search engine optimisation is the process of affecting the visibility of a website in a search engine’s organic or natural search. Over the years, the competition to remain relevant to the search engines has become fierce. Standard approach businesses have taken to getting found online is to buy ad space on Google and other search engines, and in the process securing keywords related to their ads. When a search occurs with the keyword acquired, the purchased ad may appear above organic search results, otherwise known as “Sponsored Search Results.” This approach has become increasingly competitive over the years as more and more companies are securing the same types of keywords, also known as head keywords (keywords with a high search volume). As they are keywords of high volume and value, purchasing them can be expensive and challenging for companies to appear on the first page of sponsored search results. Companies spend tonnes of money securing head keywords with the hopes that it will help bring traffic to their website, but when that is not the case, these companies lose out and are nowhere to be found on the search engines. Blogging remedies that by supporting a search engine optimisation best practice. A search engine optimisation best practice is to focus on long-tail keywords (phrases of 3-5 words moderately searched for) as opposed to head keywords. To carry out this best practice successfully, blogging is recommended. In writing blog entries, companies can make specific long-tail keywords and its variations the focus, making it easier for search engines websites to pick up the usage of those words when they “crawl” your site. As an example, a long tail keyword for Keen to Design could be “custom wordpress website design services” among many others. In writing a blog focusing on this long-tail keyword and including its variations, we will increase our chances of ranking higher on search engines at no extra cost. The only cost is time to write the blog, but that pays for itself as blogs have an infinite lifespan. That is the beauty and convenience of blogs; they never stop working for you. Why You Should Not Wait to Blog? Trends suggest that blogging will grow exponentially. More companies will catch on that blogging is extremely beneficial for their business. As a component of the social media program, we at Keen to Design have created blogging services that make it easy for your company to start ranking on search engines, become an industry thought leaders, and increase lead generation.